Published Jan 24, 2019 By Julia 14 CommentsThis post may contain affiliate links. 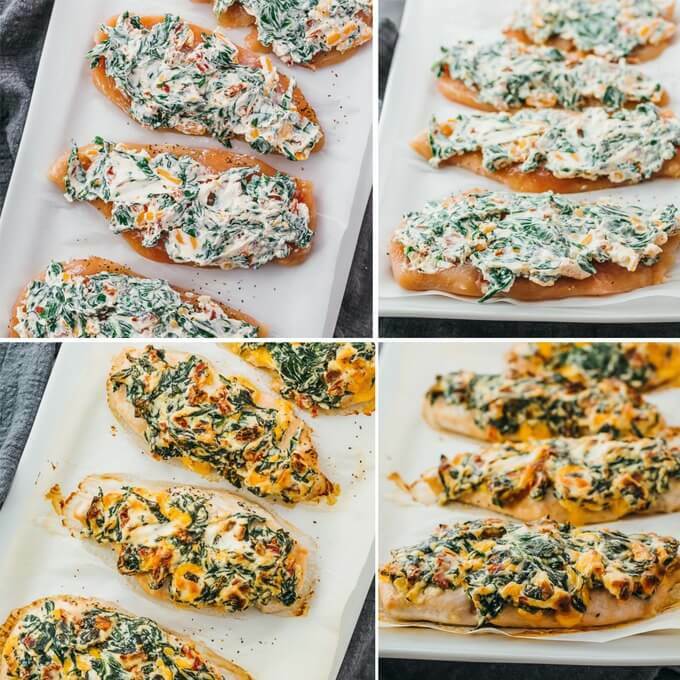 These oven baked chicken breasts are a keto and low carb meal that’s easy, quick, and delicious. 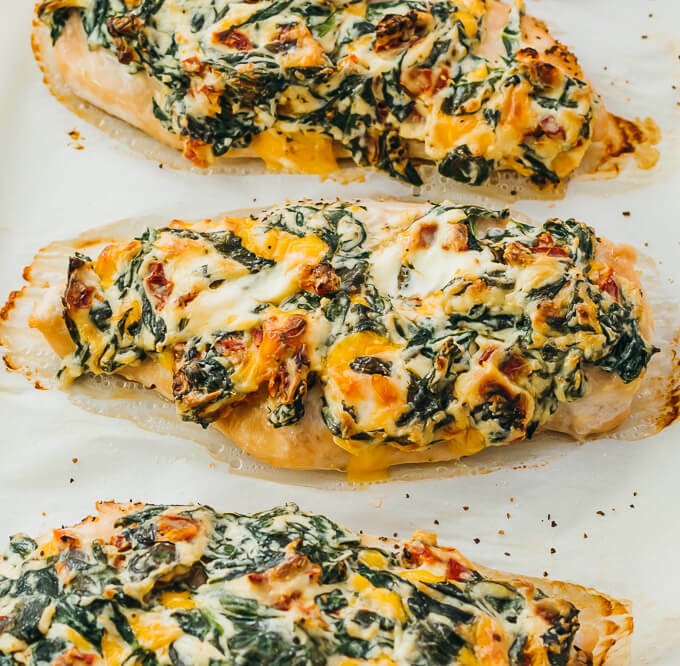 They’re like un-stuffed chicken, with a cheesy spinach and sun-dried tomato topping. I love stuffed anything — stuffed mushrooms, stuffed cabbage rolls, and stuffed jalapeños, to name a few — and stuffed chicken breasts are no exception. But it’s a time-consuming hassle to stuff chicken breasts, so I don’t make them as often as I’d like. That’s where this recipe comes in. 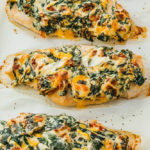 They taste exactly like spinach and cheese stuffed chicken breasts, minus all the effort. 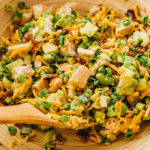 The “stuffing” is just a cheesy topping that you can quickly spread on top of the chicken pieces. It stays on easily, and doesn’t slide off during baking or when you cut the chicken into slices. This is great if you’re looking for quick and easy weeknight dinner ideas. You can round out a low carb meal by serving them with appetizers like keto friendly garlic knots and biscuits, and with sides like cauliflower mashed “potatoes” or roasted cauliflower florets. The key to perfectly baked chicken breasts is timing. When selecting chicken, follow the recipe’s instructions for the proper weight and thickness, which is what the cooking time is based on. If your chicken breasts are smaller or larger than indicated here, you’ll have to modify the baking time accordingly. Don’t forget the cooling time. I usually let the chicken rest for about 5 minutes after baking and before cutting into it. This prevents the chicken from releasing liquid, yielding juicier meat. Another important factor is the oven temperature. 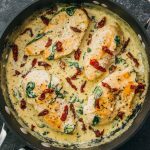 I find that hotter temperatures result in more tender and moist chicken breasts compared to lower temperatures — I use 425 F instead of something lower like 350 F.
An easy and healthy chicken recipe for boneless breasts baked in the oven and spread with a spinach and cream cheese topping. Keto, low carb, and gluten free. Slice each chicken breast in half, so it’s half as thick as before. The resulting pieces should be no thicker than about 1/2 inch. If moist, pat them dry with paper towels. Prepare a baking tray lined with parchment paper. Spread out the chicken pieces in a single layer on the parchment paper. Season the chicken with half of the salt and pepper. Flip them and season the other side with the remaining salt and pepper. Set aside. In a pan on the stovetop, cook spinach until wilted. Separately, microwave cream cheese until very soft and easily mixed, about 20 seconds. 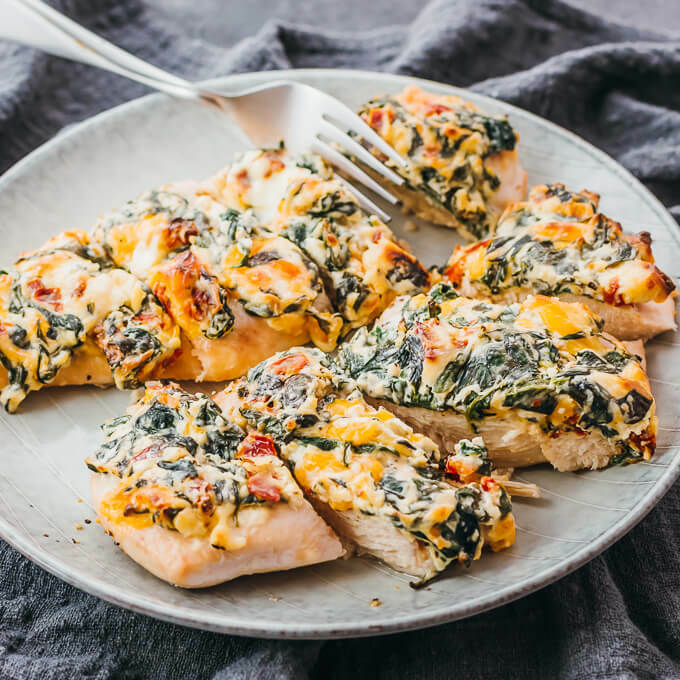 In a bowl, stir together cooked spinach, softened cream cheese, and all other topping ingredients until well-mixed. Evenly spread the mixture across the tops of the chicken pieces. Bake at 425 F until the chicken is cooked through, about 20 minutes, depending on the size of your chicken pieces. Let it cool at room temperature for about 5 minutes before serving. This recipe yields 7 g net carbs per serving (half of the recipe). Hubby loved it. I used chicken breasts and added mushrooms as well. I think zucchini would be a great addition as well. I am not a big chicken lover so to me it was okay. I think next time I would stir in a bit of salsa for a bit more zip! We had company over last night and I made this. It was a huge hit! The chicken was juicy and the topping was amazing. I didn’t saute the spinach first, I just chopped it and added it to the cheese mixture. I couldn’t find dry sun dried tomatoes so I used ones packed in oil and they worked fine. Next time I think I’ll add some artichokes and bacon. Yum! Would this be as good on pork chops? Do you think it will work if I used laughing cow cheese versus cream cheese? Trying to cut the calories! Looks amazing though…I will definitely be making it either way this week! I made it and loved it! Now I have a delicious Keto recipe for company. I cut up a yellow bell pepper and some fresh mushrooms, brushed them with olive oil and dill, and put them on the parchment paper with the chicken breasts. Wonderful! I love how you added some veggies — great idea! Absolutely delicious! 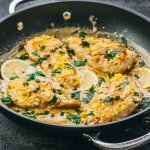 This might be my favorite Keto recipe so far. Thanks for sharing. I’ve gotta try this! Thanks for sharing! Should you bake it covered with foil or no cover? 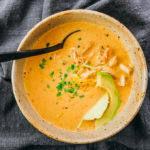 Do you have this recipe for the instant pot? I don’t. This recipe likely wouldn’t translate easily to pressure cooking.